“It’s not a diet, I’ve just learned how to eat for my metabolism”. This was music to my ears when I overheard one of my nutrition clients explaining what she was doing to lose the weight. 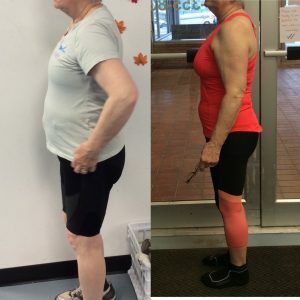 65 year old says: I had been stuck for over a year & several years with my fitness. Before you, I had given up & preparing for the elastic waist pants. You are inspiring and knowledgeable. Thx again! As a 20 year veteran school teacher turned fit pro, I always fall back to education as a means to helping my clients achieve their goals. They gain a self awareness they never had before. They set realistic goals & expectations. They achieve LONG term success. They STOP dieting & START living. They discover that a template diet or one-sized plan is death to their metabolism & spirit because it often sets them up for rebound weight gain once the ‘diet’ is over. 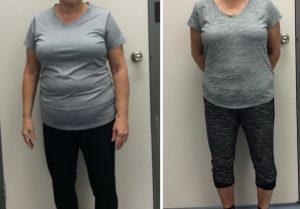 They know a template diet will NOT teach them how to connect the dots as to why they lost weight in the first place. They’ve chosen to finally just get to the bottom of it all by educating themselves on how to fuel their body for energy & optimal weight. They see that everyone is different so that one-sized plan WON’T work long term. They wouldn’t take someone else’s prescription meds, so they wouldn’t follow a plan prescribed for someone else. They haven’t fallen for the pills, powders, potions & magic diets they see all over social media that don’t work long term. Instead, they’ve prioritized their health & they’re reaping the benefits. 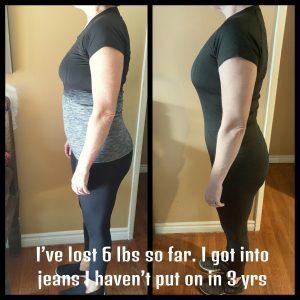 Get a load of just a few of my client success stories. 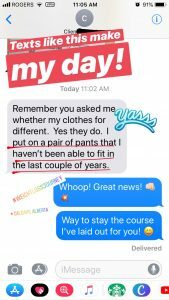 If you want some of that success, just hit me up – reply to this email or Reach out to me to help you short cut the process to improved health.